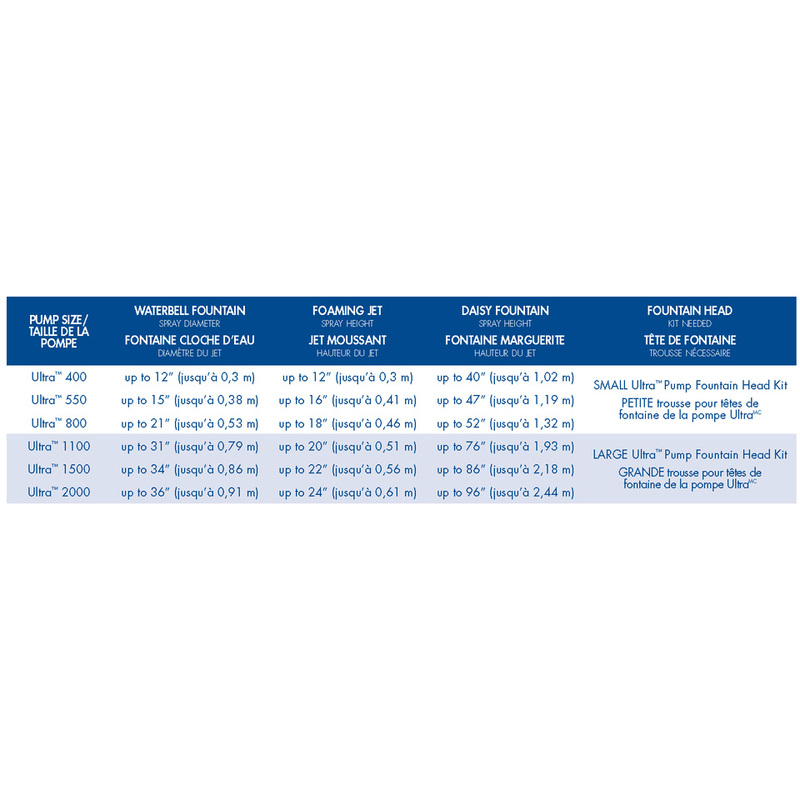 Large Ultra Pump Fountain Head Kit - Aquascape, Inc. 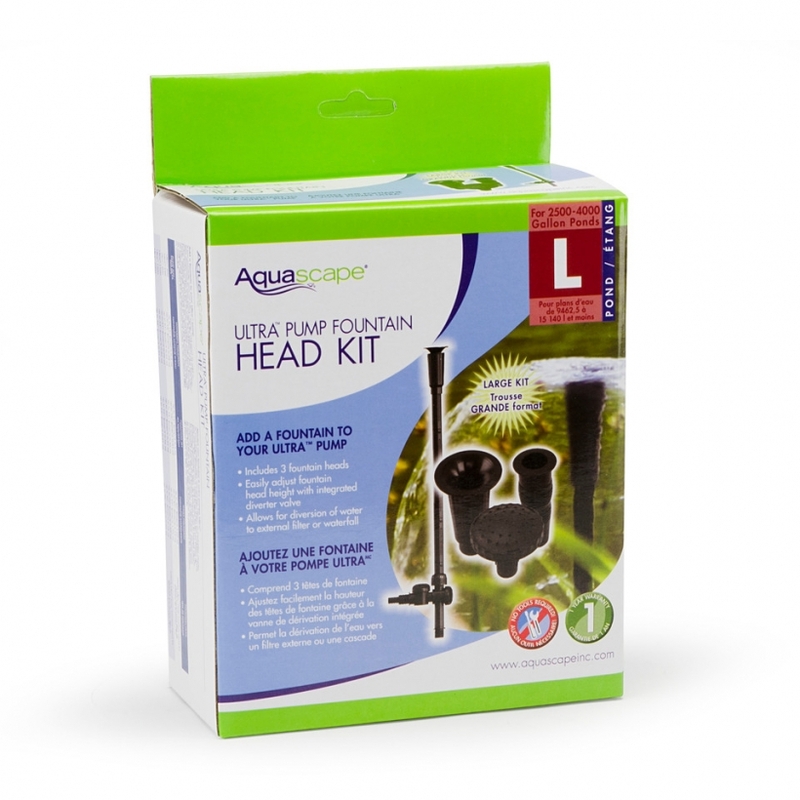 The Aquascape Large Ultra Pump Fountain Head Kit allows you to add a fountain to your Aquascape Ultra 1100, 1500, or 2000 Pump (2012 to present), using its ¾ inch male-threaded connection. 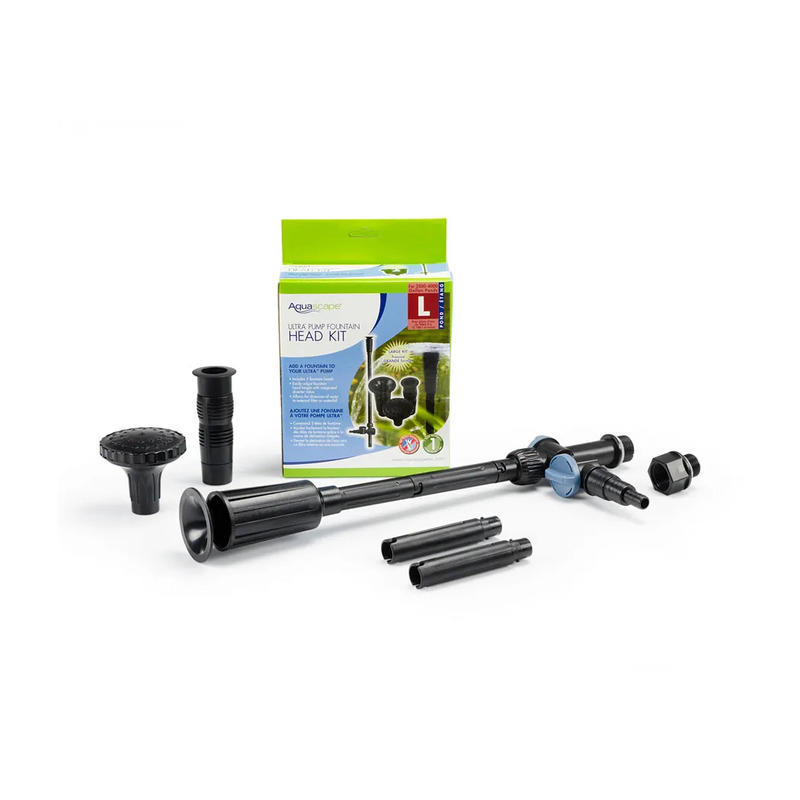 The kit will increase oxygen levels and water movement throughout the pond and the included diverter valve allows for the diversion of water to a decorative fountain, spitter, or small external filter. 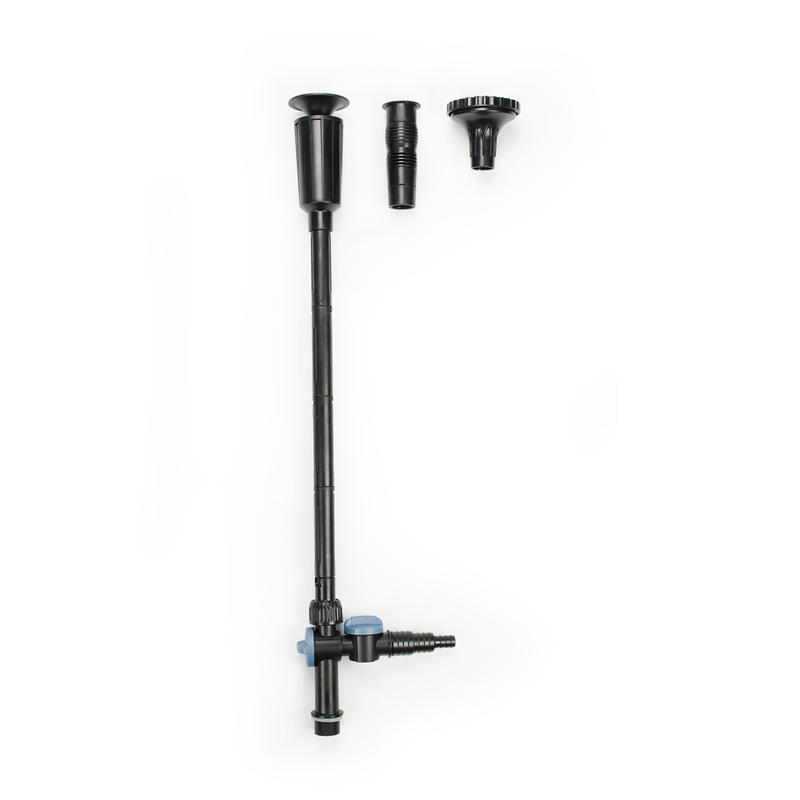 The kit comes complete with three fountain heads including a foaming jet fountain, daisy fountain, and traditional water bell fountain, and its easily adjusted fountain height allows for installation in a wide-variety of applications. Aquascape is passionate about the products we produce, providing unique products, designs, and features that stand above the competition.